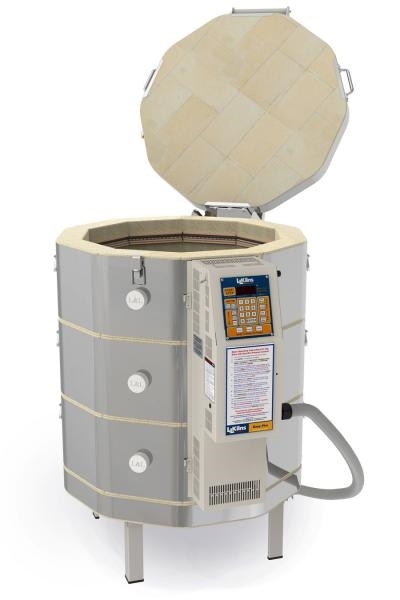 This kiln is recommended for small studios and schools. It is suitable as a bisque kiln in larger studios. If you fire cone 5 and cone 6 you would be suited to choose the E23T-3 which is the same kiln with extra insulation to handle the rigors of higher firing temperatures. L&L kilns feature hard ceramic element holders. These reduce wear and tear on your kiln by preventing chipped bricks from bumping the sides with shelves when loading. The element holders also make element replacement easier and faster. 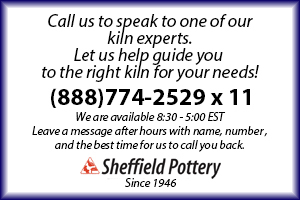 This is one of our top selling kilns. The full size control panel make it simple to program custom firing curves but most people find every thing they need in the slow and fast bisque and glaze programs already installed at the factory. You can now upgrade to the Genesis Touch Screen Controller for even easier access to firing curves and firing reviews. Save even more when you order the furniture kit of shelves and posts when you order with a new kiln. The vent system is a highly recommended option. 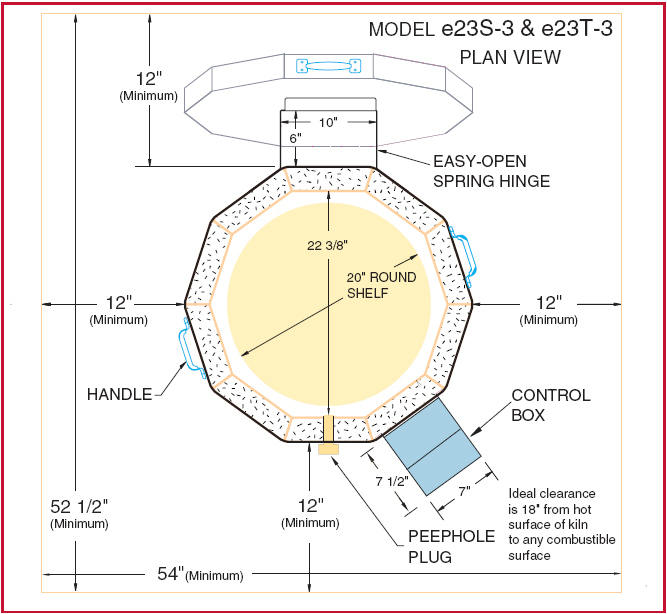 It is very important to have the down-draft vent when the kiln is installed in a basement or other living space. You can expect many years of great firings in your L&L Easy Fire kiln ! 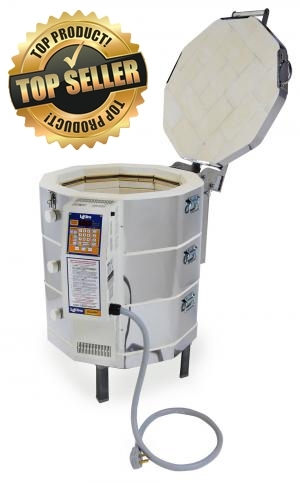 The easy-fire kiln meets the needs of teachers, institutions, camps, hobbyists, potters and others who need an easy to operate, easy to set up, easy to maintain, easy to understand, and easy to buy kiln. It has L&L’s robust and time-proven technology like ceramic element holders, industrial-grade element terminals, ceramic thermocouple protection tubes, heavy-duty elements, corrosion resistant materials, “Easy-Open, Easy-Load” spring hinge, removable control panel and zone control with four “Easy-Fire” programs. Get everything you need for one easy price. temperature resistant gloves for unloading. $5.80 @ 10 cents per kW hour. pounds for kiln with vent and kit. Shipping class 85.